I'm going to the Outer Banks of North Carolina soon. I might have to take a peak at the new island that has formed off of Cape Point before the developer get a hold of it. North Carolina's Cape Hatteras National Seashore has always been stunning, but now there's a new wonder for visitors to explore. Spotted by eagle-eyed locals on the ground -- and photographed by Chad Koczera -- the sandbank has grown from tiny isle to large land mass. Banzhaf , H. Spencer, Constructing Markets: Environmental Economics and the Contingent Valuation Controversy (October 21, 2016). History of Political Economy, Forthcoming. Available at SSRN: https://ssrn.com/abstract=2959427. Having lived through it [see below], I thought I knew everything about the CVM debate but still learned something new. For example: Diamond, Hausman and McFadden did not collect any of the Exxon-funded data (i.e., write the surveys, focus group, pretest and field the surveys). It seems that it was collected by others [*.pdf] and then, given their prominence in the profession, Diamond, Hausman and McFadden did the econometrics. Carson, Richard T. "Contingent valuation: A practical alternative when prices aren't available." The Journal of Economic Perspectives 26, no. 4 (2012): 27-42. Hausman, Jerry. "Contingent valuation: from dubious to hopeless." The Journal of Economic Perspectives 26, no. 4 (2012): 43-56. Kling, Catherine L., Daniel J. Phaneuf, and Jinhua Zhao. "From Exxon to BP: Has some number become better than no number?." The Journal of Economic Perspectives 26, no. 4 (2012): 3-26. [*] Desvousges, William, Kristy Mathews, and Kenneth Train. "Adequate responsiveness to scope in contingent valuation." Ecological Economics 84 (2012): 121-128. Haab, Timothy C., Matthew G. Interis, Daniel R. Petrolia, and John C. Whitehead. "From hopeless to curious? Thoughts on Hausman's “dubious to hopeless” critique of contingent valuation." Applied Economic Perspectives and Policy 35, no. 4 (2013): 593-612. [*] Desvousges, William, Kristy Mathews, and Kenneth Train. "An adding-up test on contingent valuations of river and lake quality." Land Economics 91, no. 3 (2015): 556-571. [*] Desvousges, William, Kristy Mathews, and Kenneth Train. "From Curious to Pragmatically Curious: Comment on “From Hopeless to Curious? Thoughts on Hausman's ‘Dubious to Hopeless’ Critique of Contingent Valuation†”." Applied Economic Perspectives and Policy 38, no. 1 (2016): 174-182. Haab, Timothy C., Matthew G. Interis, Daniel R. Petrolia, and John C. Whitehead. "Interesting Questions Worthy of Further Study: Our Reply to Desvousges, Mathews, and Train's (2015) Comment on Our Thoughts (2013) on Hausman's (2012) Update of Diamond and Hausman's (1994) Critique of Contingent Valuation." Applied Economic Perspectives and Policy 38, no. 1 (2016): 183-189. Chapman, David J., Richard C. Bishop, W. Michael Hanemann, Barbara J. Kanninen, Jon A. Krosnick, Edward R. Morey, and Roger Tourangeau. "On the adequacy of scope test results: Comments on Desvousges, Mathews, and Train." Ecological Economics 130 (2016): 356-360. [*] Desvousges, William. "Reply to ‘On the adequacy of scope test results: Comments on Desvousges, Mathews, and Train’." Ecological Economics 130 (2016): 361-362. Poe, Gregory L. "Behavioral Anomalies in Contingent Values and Actual Choices." Agricultural and Resource Economics Review 45, no. 2 (2016): 246-269. Whitehead, John C. "A Comment on 'An Adding Up Test on Contingent Valuations of River and Lake Quality'”. Appalachian State University Department of Economics Working Paper No. 17-01. 2017. Bishop, Richard C., Kevin J. Boyle, Richard T. Carson, David Chapman, W. Michael Hanemann, Barbara Kanninen, Raymond J. Kopp et al. "Putting a value on injuries to natural assets: The BP oil spill." Science 356, no. 6335 (2017): 253-254. [*] McFadden, Daniel, and Kenneth Train, eds. Contingent Valuation of Environmental Goods: A Comprehensive Critique. Edward Elgar Publishing, 2017. Whitehead, John C. "A Replication of Willingness-to-pay Estimates in ‘An Adding Up Test on Contingent Valuations of River and Lake Quality’ (Land Economics, 2015)." unpublished manuscript, June 2017. BP funded research is indicted by the [*]. What have I missed on my reading list? U.S. Environmental Protection Agency (EPA) Administrator Scott Pruitt continues to clean house at a key advisory committee, signaling plans to drop several dozen current members of the Board of Scientific Counselors (BOSC), according to an email yesterday from a senior agency official. All board members whose three-year appointments expire in August will not get renewals, Robert Kavlock, acting head of EPA's Office of Research and Development, said in the email, which was obtained by E&E News. Because of the need to reconstitute the board, EPA is also canceling all subcommittee meetings planned for late summer and fall, Kavlock said. "We are hopeful that an updated BOSC Executive Committee and the five subcommittees can resume their work in 2018 and continue providing ORD with thoughtful recommendations and comments," he wrote in urging departing members to reapply. The board, whose members are chosen by Pruitt, advises EPA on technical and management issues related to its research programs. First-term board members typically receive a second three-year reappointment. Last month, however, Pruitt broke with that tradition in opting not to renew the appointments of nine BOSC members. The new round of non-renewals will bite much deeper, BOSC Executive Committee Chairwoman Deborah Swackhamer, a University of Minnesota science professor, indicated in an email today to E&E News. Of 49 remaining subcommittee members, 38 will not be renewed at the end of August, leaving a total of 11, she said. None of the subcommittees will have a chair or vice chair, Swackhamer said, while the executive committee will have three members. While EPA is already seeking nominations to fill out the board, the deadline is the end of next week, she noted. I don't know the names of all of those cut, but I know of one colleague from my department who has been cut (and is less than pleased). When the first round of non-renewals became public last month, an EPA spokesman noted that reappointments were not guaranteed and that the agency wanted to ensure fair consideration of all nominees for advisory board posts. In a statement today, spokeswoman Amy Graham said the agency is grateful for the service of BOSC members and is encouraging those with expiring terms to reapply. "We are taking an inclusive approach to filling future BOSC appointments and welcome all applicants from all relevant scientific and technical fields," Graham said. But the first round sparked backlash from congressional Democrats and accusations that Pruitt is seeking to make room for industry representatives who will undercut the integrity of the board's work. "This says to me that they do not want objective science," Peter Meyer, an economist who resigned in protest last month, said in an interview this morning. This appears to be just the start of advisory committee changes at the EPA. The agency’s Science Advisory Board (SAB) and Clean Air Scientific Advisory Committee (CASAC) also likely will be changed in the future. One senior administration official, who spoke on the condition of anonymity to discuss ongoing conversations, said that a segment of the Scientific Advisory Board rotates off each year and the agency will issue a Federal Register notice in the next couple of weeks that will invite applicants to replace those members whose terms are expiring. “EPA is currently deliberating next steps for the SAB and CASAC,” said one senior agency official, who spoke on the condition of anonymity because no final decision has been made. And yes, I know someone on an SAB subcommittee too. Actually I know a lot of people on SAB subcommittees, but I was referring to me. I am most happy to inform you that the following sessions have been accepted for presentation at the 87th annual conference of the Southern Economic Association®. The conference will be held November 17-19, 2017 at the Tampa Marriott Waterside Hotel and Marina in Tampa, FL. This year, the Distinguished Guest Lecture will feature Janet Currie of Princeton University on Friday, November 17th, at 5:00 p.m. An opening reception and cash bar will follow. The conference will conclude on Sunday, November 19, 2017. One semi-interesting fact: The 2017 AERE/SEA meetings, with fewer overall sessions, has twice as many sessions devoted to stated preferences than the 2017 AERE Summer Meeting. What the hell does Jerry Hausman have against Sousa? 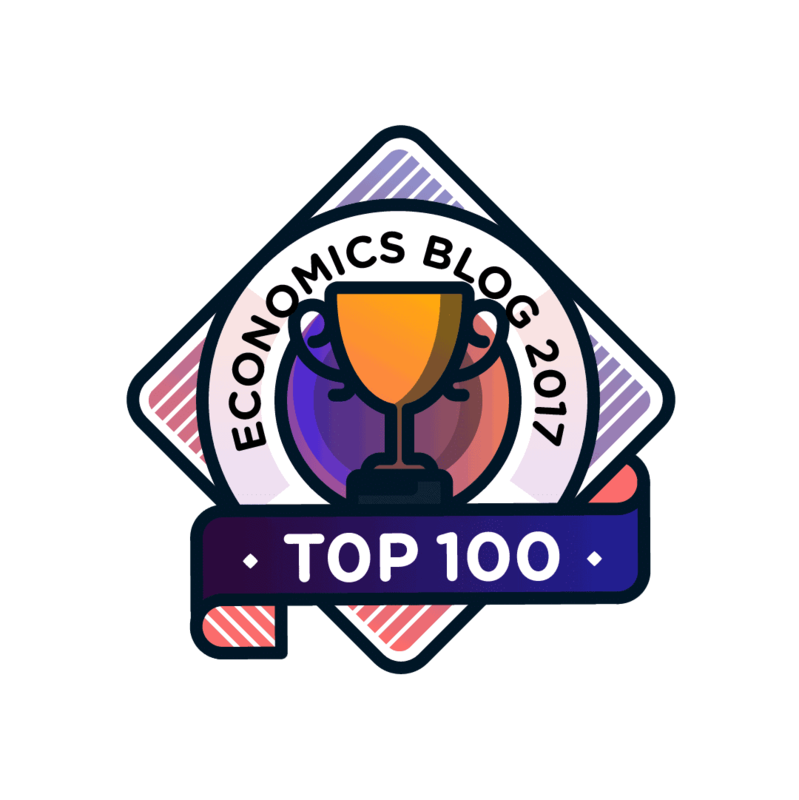 "Some years after the [Cambridge symposium on Contingent Valuation], [Contingent Valuation critic and all around good guy*, Jerry Hausman] was profiled by Bloomberg as “corporate America’s favorite economist” and quoted to consider environmental economists relative to the economics profession as no better than 'military music compared to music.'" *I don't know know if he is a good guy or not. It just sounded good. In hopes of establishing greater dialogue with past and future authors, reviewers and readers of the Journal of Environmental Economics and Management (JEEM), we write to give you an update on recent journal activities. We are happy to report that JEEM continues to thrive. So far in 2016*, JEEM has received over 555 submissions, a roughly 32% increase over last year and a 44% increase since 2014. The quality of accepted papers remains high as evidenced by the journal’s low acceptance rate and high Impact Factor. JEEM has sponsored a number of academic conferences and workshops in 2016. This support was made possible by the submission fees that you, the research community, paid over the years. As a gesture of good will and gratitude, we wanted to use these resources to support worthwhile activities that you value. In particular,JEEM submission fees have sponsored these events in 2016. In the future, we intend to allocate a portion of JEEM submission fees to support more conferences and workshops. The list does not include the AERE summer meetings. AERE broke with JEEM because Elsevier wouldn't share the wealth and now Elsevier is happy to buy me dinner in Blowing Rock, NC. I don't want to bite the hand that feeds me (literally) but that seems a little weird. If anyone doesn't know, I think we can thank Roger for bringing these two (JEEM and AERE) back together ("I still love you but I'm not in love with you." Do college girls still use that line to break up with their boyfriends?). 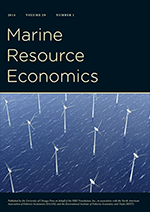 Each year, AERE selects an outstanding research paper published in the Journal of the Association of Environmental and Resource Economists during the previous calendar year. "The Clean Air Act Watch List: An Enforcement and Compliance Natural Experiment"
Journal of the Association of Environmental and Resource Economists, volume 3, number 3, pp. 627-65, 2016. This research asks the question: can traditional regulation of the environment be improved or replaced by public release of information about polluting facilities? The 2016 JAERE paper by Mary Evans makes two major contributions in this literature. First, it is a model of academic innovation in identification. It uses an accidental public release of facilities’ identities on an EPA Clean Air Act “watch list” to identify the impacts of both traditional and informational policies in what is essentially a national quasi-experiment. Second, it measures the complementarity of government oversight and civil action: government oversight is effective but can be substantially more effective when information regarding that oversight enters the public realm. The paper includes an extensive series of robustness checks that rule out potential confounding factors, and it provides a benchmark of best practice in quasi-experimental evaluation. For regulators, her paper provides potential new management tools that are easy to implement and likely to make real world impacts. For researchers, her paper provides a robust, well executed, and highly policy relevant blueprint for examining non-traditional forms of regulatory impacts. Congratulations and keep up the awesome work with Environmental Economics!